All 4 Alamo discount codes have been verified and tested today! If you frequently rent cars, then the Alamo Car Rent app is ideal for you. There are many perks of using the app including when you book your car rental you will receive a 5% discount off. The other advantages of using the app are that you can easily and faster than ever book your car rental and modify your upcoming car reservations simply from your cell phone or mobile device. You can save rental details too, so you can look up information and reference them later on. Also, find the closest rental locations to you and use the filters to narrow down your vehicle search. The app is available for iPhone and Andriod and can be downloaded from the Apple App Store or Google Play. You might even get an Alamo coupon in your email or on the app from time to time. Register your email address on Alamo Rent a Car to stay up to date on the latest discounts, travel tips and last minute offers available. You’ll be able to stay on top on any trip you might have booked. You may even receive an Alamo coupon code in your inbox! Sometimes taking the long way around is the better option. Alamo Rent a Car maps out scenic routes for you to follow so you can make the most out your trip, and your rental. You can also find Seasonal Travel Destination Guides to ensure your trip is perfect for the time period you will be visiting. Once you have your trip decided, apply an Alamo discount code when you are looking to book your car. Why not make your spontaneous vacation or last-minute business trip a whole lot simpler by checking out the Last Minute Rental Specials and Deals for your rental. You can even book a rental car with one hours notice period for those extremely last minute and on the go surprise circumstances. Don’t go to fast and forgot to apply an Alamo coupon code so you can spend more doing the things you love on your trip. When you hire a car with Alamo Rent a Car, apply an Alamo discount code from our page to save you on your rental every time. 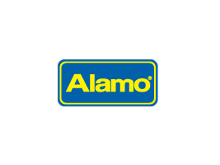 To apply an Alamo coupon code, this can be done when searching for your booking on the Alamo Rent a Car website. In the search bar, enter the rental details including pick up and drop off locations, times, and dates. Here, there is the option to ‘Add discount code’, select this and paste the Alamo discount code copied from our page. You’ll be directed to car rental deals with the discount already applied. Remember to frequently check our page for an Alamo coupon to save on your car hire. Why rent with Alamo Rent a Car? Since 1974 Alamo Rent a Car has provided low-cost rentals to families and vacation travelers, with high rental experience and fantastic service. With their seamless, hassle-free rental procedure, it’s no wonder why this is the largest rental company for international travelers. The company has partnered with many other tourism companies including Walt Disney World Resort and Disneyland Resort and Japan Airways to create joined opportunities such as earning flight miles. This means you can get more for your money when you book with Alamo Rent a Car. You can also join Alamo Insiders to save 5% on your booking before applying an Alamo promo code. You’ll be guaranteed 5% off every booking by signing up.